Indian film music arranger/composer, born on 16 April 1933 in Pune, Maharashtra, India. Also well-known for his instrumental albums of rendition of film tunes on the piano-accordion. He was raised in a musical family (all six brothers played an instrument), with religious and church music playing an important role and receiving musical instruction in the first years on the local church organ. 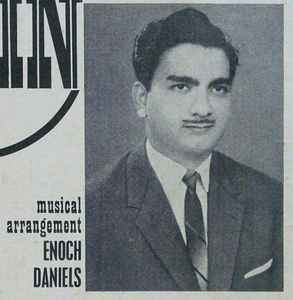 Enoch was the first exponent of the accordion in India. His first break came when he performed with the Hawaiian guitarist Van Shipley in 1955, with whom he performed scores of shows country wide, as well as internationally. Since 1963 he has worked as an arranger for background and film scores .